Sarcoptic mange is caused by a parasitic mite that burrows just beneath the surface of the skin, Sarcoptes scabiei. The mite feeds on material in and on the skin. It is also known as scabies and is a zoonotic disease or a disease transmissible from pets to people. The presence of the sarcoptic mite causes intense itching. The dog will chew and scratch its skin constantly. This leads to the loss of large amounts of hair, especially on the legs and belly. Eventually, the skin will become thickened and will darken. Sarcoptic mange is highly contagious to other dogs and humans. The dog’s bedding should be discarded or regularly washed in hot water diluted with bleach (one ounce per gallon). Although sarcoptic mites are not able to complete their life cycle on humans, they will cause severe itching until they die in two to five days. Diagnosis is made by a skin scraping examined under the microscope. It is common not to see mites when performing a skin scraping. This is due to the fact that the mites burrow deep into the skin and that it takes only a few mites to cause significant itching. A presumptive diagnosis is made on clinical signs and treatment is begun. Sarcoptic mange may occur in any dog at any time. There are several medications that are effective against Sarcoptes. 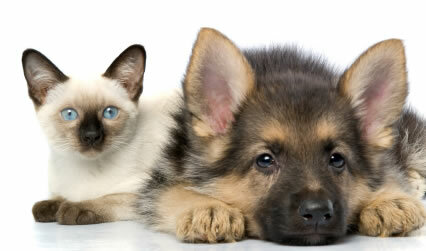 Your veterinarian will discuss the best treatment for your pet’s condition. Treatment varies from medicated baths and dips to injections to oral medications. Many pets will require a combination of treatments to resolve this infection. Discard any bedding or wash in diluted bleach solution (one ounce bleach in one gallon of water). If your dog is still scratching in four to five days, please contact your veterinarian. Your dog should be re-examined in – days. If any member of the family develops itching or a skin rash, contact your family doctor immediately. Tell your doctor that you may have been exposed to sarcoptic mange or scabies. In people, the mite cannot complete its life cycle so it will die in a few days. However, it may cause intense itching during that time and medical treatment is often recommended.